If unpleasant weather or flying insects are stopping you from exploring your outdoor area, then patio blinds can be a great option for you. Getting it installed on the outer portion of any architectural structure will enable you to expand your available space and also get an extra layer of protection. Just opt for our bistro blinds online and transform your outdoor area into a pleasant day room. 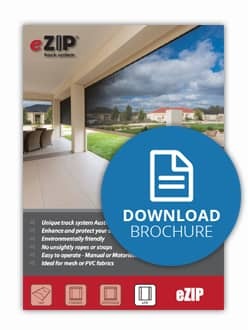 Whether you want to entertain your guests or just stay by yourself and relax through the day, our zip track blinds online make a perfect option. e-Zip blinds are an Australian designed and manufactured line of stylish patio blinds and outdoor bistro blinds. At Blind Concepts, we offer top-quality e-Zip outdoor blinds online. Our outdoor bistro blinds are simple to use and easy to install. Our e-Zip patio system is one of the modern awnings, which help you to enhance your outdoor living area. Being easy-to-operate, stylish and highly functional, these are available in crank, motorised or spring operations. Featuring a durable and strong design, these patio blinds are designed to eliminate any signs of wear. These blinds are created in tinted as well as clear PVC to impart a warm and cozy feel to your outdoor area. With our collection of outdoor blinds online you will definitely find the one that perfectly complements your space. The side welded zip is designed to lock the fabric into the side tracks for complete protection. As the screening fabric is thoroughly held and secured in the tracks, the chances of displacement are also nil. Available in height up to 3.5m and width up to 5m, they come in maximum size up to 10m2. 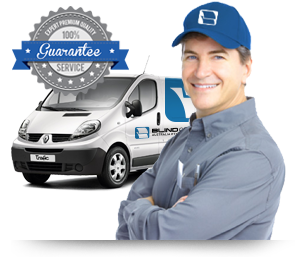 Blind Concepts has successfully served several clients across Australia. Our e-Zip blinds are available in both hand crank as well as motorised options. We have an exhaustive collection of zip track blinds online and can also provide you with an online quote. If you are looking for zip track blinds in Melbourne or bistro blinds in Melbourne, then you are at the right place. We can assist you in choosing the right blinds for your outdoor are and also get it installed. Just call us on 03 9720 1778 to get in touch with our representatives. After all, we take pride in assisting you.